The C7 Corevette in New York. Hot on the heels of news of Chevrolet’s planned successors for the Corvette Z06 and ZR1, based on the latest C7 Corvette, comes a new report claiming the bowtie brand is also planning a ‘low-cost’ Corvette model for the everyday man.This new low-cost model would slot in below the 2014 Chevrolet Corvette Stingray and simply be known as the Corvette Coupe, suggesting it may come with a fixed roof instead of the Corvette Stingray’s removable carbon fibre top. The report was first posted by Motor Trend, which also claimed that the low-cost Corvette Coupe could be introduced as early as the 2015 model year. In line with its entry-level positioning, the car is said to miss out on GM’s new 6.2-liter LT1 V-8 and instead opt for a 5.3-liter V-8 similar to the unit developed for the automaker’s truck range. Peak output would be less than 400 horsepower, helping to maintain a buffer between the model and the pricier Corvette Stingray, which will deliver at least 450 horsepower when it launches this fall. The car would also be styled differently and feature less standard equipment. Specific changes cited in the report were new bumpers, new fenders and the aforementioned fixed roof. The car is also likely to miss out on the Corvette Stingray’s carbon fibre panels. 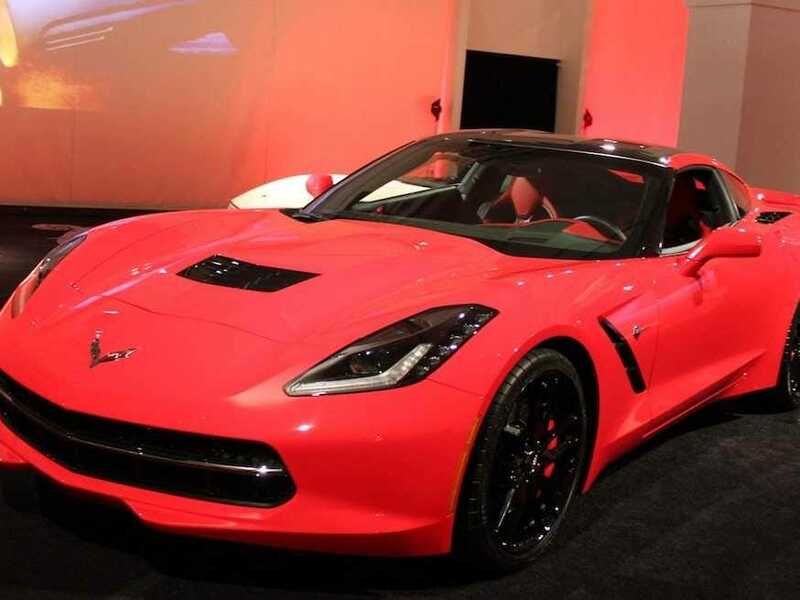 Chevrolet is yet to reveal pricing for the Corvette Stingray, but said at its debut that anyone who could afford the base C6 Corvette, which in its final year was priced from $50,595, could afford the new one. This means that the reported low-cost Corvette Coupe could come in at less than $50k. Such a proposition would certainly go down well with the tuner crowd as well as fans of no-nonsense sports cars; consider us interested.